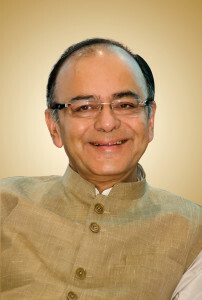 The most wanted and the desired union budget have surfaced. While the innocuous opposition is busy cribbing, there are small business owners and entrepreneurs smiling. Finally we have a budget that focuses on farmers, small-scale entrepreneurs (MSME) and giant startups. Here we bring to you the varied benefits that were approved by Finance Ministry to be leveraged to entrepreneurs and MSMEs through MUDRA YOJANA and Startup India Standup India campaign. One day Registration: Now it is possible to get your company/startup registered in just one day with the Indian Government. This old rule has been amended for the benefits of the new age entrepreneurs. Entrepreneurs mind it, you need to have all the paper and required documents ready in order to get your company registered in just one day. Do not blame the government later if you went to the registrar with less documents and were sent back. A gift for SC, ST and Women: A sum of 500 crores will be allocated for SC, ST and Women entrepreneurs from across the country. Small-scale businesses and startups will benefit the most from it. This fiscal move will ensure Sab ka Saath, Sab ka Vishwas. It’s time for SC, ST and women to become job providers instead of being a job seeker. This will change the way people look at India, the changed perspective will help India come across as a strong nation. Banks to support startups: Every bank is bound to finance one MSME business in their locality but coming Ambedkar jayanti, every bank will be bound to run two different programs and help women and SC, ST startups. Never before anyone would have thought that Indian banks would provide startups with funds to develop their outreach with such ease and grace. The government has surely turned the red carpet into green carpet and has opened new doors for startups and entrepreneurs. Online Courses for skill development: Yes! As entrepreneurship is about proper utilization of skills, the central government has decided to launch online skill development courses under the Pradhan Mantri Kaushal VIkas Yojana (Skilled India Campaign). This will help people to learn new skills and carve a new niche of business. Reduced Corporate taxes: The government has decided to reduce the tax for small companies with a revenue of 5 crore to 29 percent. The new rules will help small businesses manage their resources and budget really well. Small businesses and startups can enjoy full liberty and also save on Corporate Social Responsibility. Lesser tax on patent products: Now companies can with patent product will only be charged 10 percent of the income generated across the world. This exemption will allow entrepreneurs to access their resources for better development. Tomorrow looks brighter today and it is really going to motivate people to do something for the sake of their country. These are not just changes and reforms, these are paradigm shifts and these are going to leverage India with a new power and Indian entrepreneurs with a new inspiration to do the best they can. It is time for entrepreneurs to produce good art and help India rise at the global level.